Camp comfortably with this Winnebago Industries Minnie travel trailer in tow! Notice the conveniently located full bath just inside the main entry door. 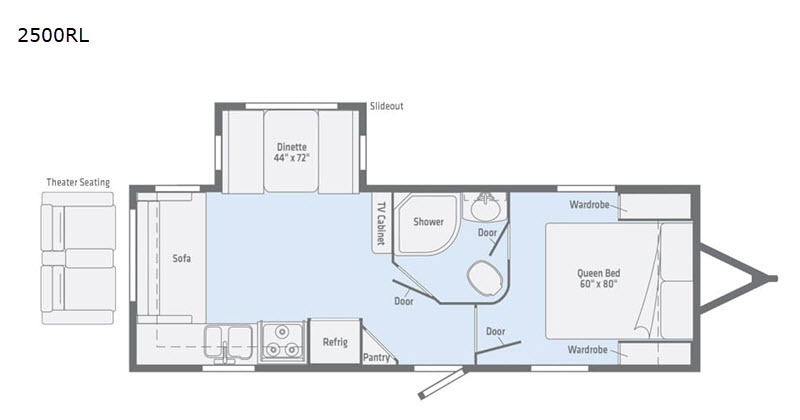 When inside, you will also notice that the bathroom can be easily accessed from inside the private master suite. Each morning, as you slip into the shower, extra sunlight will fill the bathroom giving you a peek at the day's weather through the skylight overhead. 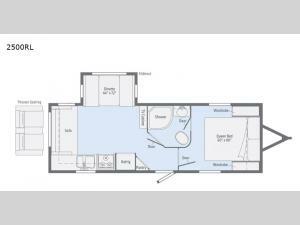 This unit also features ample seating with a rear sofa and booth dinette which can also be converted to additional sleeping space if needed at night.